When it comes to messy buns, the ladies are aiming high. Here's a look at four runway-inspired buns you can wear to work this week. When it comes to messy buns, the ladies are aiming high. We mean that literally. The low, hideaway bun is on its way out because the working girl's new go-to look is the dramatic updo. From big knots to "Penny Dreadful" hair, they are doing it all. Though we know how much our favorite duchess loves her no-hassle, low French bun, this winter try switching it up to stand out. Go retro or go for edgy, Victorian-inspired messy buns. We're only suggesting the swap because the runways are obsessed with spunky and daring buns. 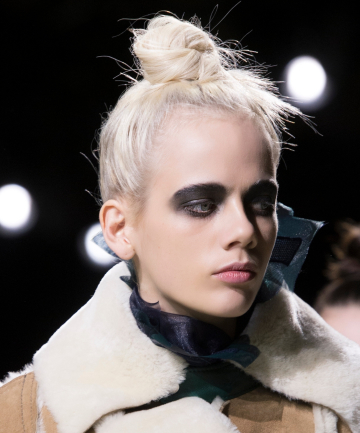 Here's a look at four runway-inspired buns you can wear to work this week.